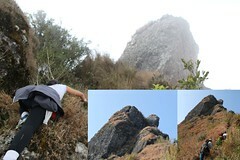 Short for Mataas na Bundok, Manabu Peak is an easily accessible dayhike destination. It has an MASL of 760+ and a total trail length of 4.7 km. 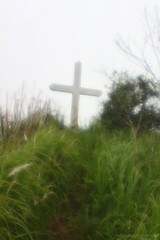 The trail is interestingly shaped like a rosary with Manabu’s signature big white cross aptly capping the peak. Perfectly manageable for beginners. The trail is visible and established. Save for a few forks here and there, it is possible to trek Manabu without a guide. If my memory serves me right, just remember to always take the right forks when going up, and (logically) the left forks when going down. To get there by public transportation, ride the Lipa- or Tanauan-bound JAC or JAM Lines and specify that you will be alighting at the Fiesta Mall (more specifically the Lipa Memorial Park along the highway). A 100-peso tricycle ride will take a group of three to Sulok, Brgy. Sta. Cruz in Sto. Tomas. It will take you twenty minutes on the tricycle to get to the jumpoff point. Alternatively, for bigger groups, you can hire a jeepney to take you to Sulok. A registration fee of Php15.00 is collected by the barangay. (Un)Fortunately, since our hike was on a Sunday, the tanods were enjoying their (work)day-off. :) Some useful pieces of information about the tanods: 1. pay the exact amount as some regulars say they are not in the habit of giving you change for big bills; 2. take down with a shroud of doubt the mobile number they will give upon registration as it is apparently a dummy according to my friend, and; 3. sympathize with the famous barista, Mang Perying, as he launches a spiel on how seemingly useless the collection of registration fees is since it is not the barangay who maintains the trails to the peak, but the residents like himself. 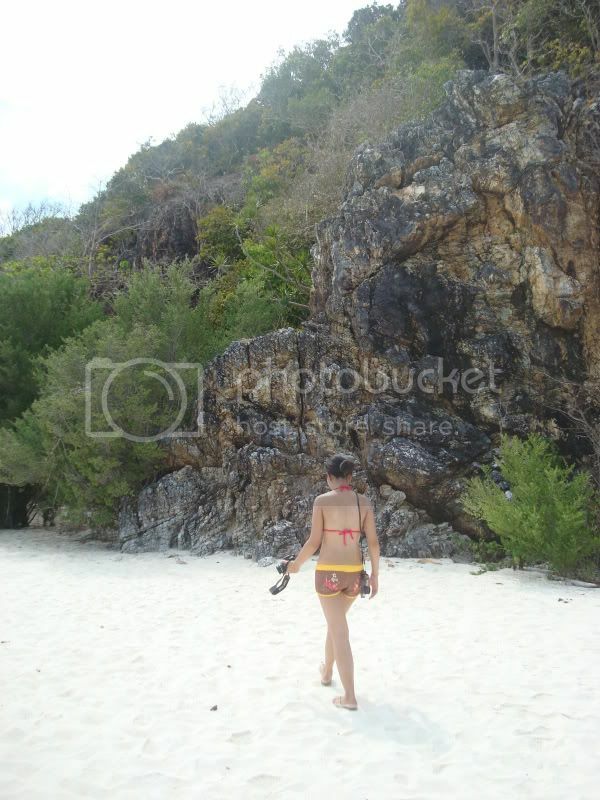 A beach and a bundok. How can I resist it? After an impromptu invitation by a UP friend and a frenzy of are-we-going-or-not conversations, last weekend, my office friends and I found ourselves in yet another weekend getaway. From our initial plan to go to the Hundred Islands in Alaminos to the Pahiyas Festival in Lucban, we finally settled at the last minute to go to San Juan, Batangas for a beach and a mountain climbing trip. Mt. Daguldol is located in Brgy. Hugom, San Juan, Batangas. It is a small mountain range with an MASL of 670+. Classified as an easy climb, the mountain along the coast of southern Batangas is a popular trekking destination. Accessible via private and public transportation, Mt. Daguldol appeals to both tourists and mountaineers. 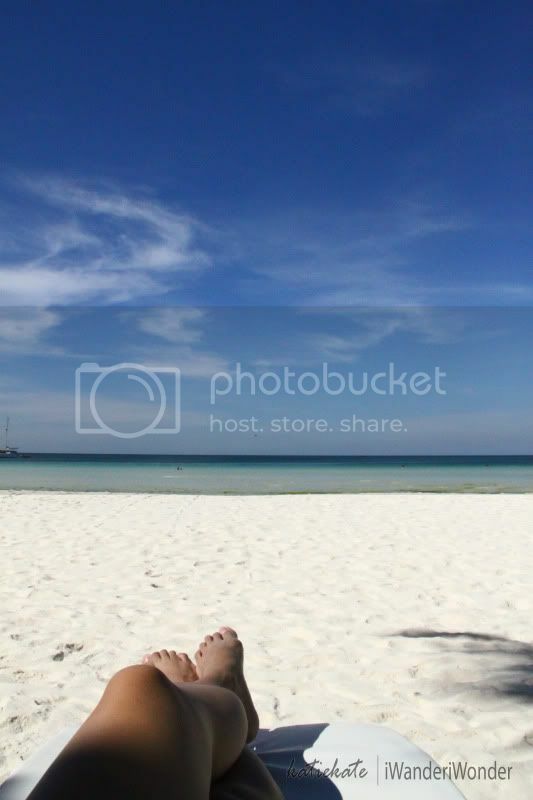 Apart from being only four to five hours away from the metro, San Juan is also popular for its beaches in Laiya which is a nice side trip. To get there by public transportation, ride the RRCG buses in Buendia bound for San Juan. Unlike the Lipa- or pier-bound JAC or JAM Lines, these buses will take you directly to the town proper where you can alight at the town market. They leave at 4:00 AM, 6:00 AM and 8:00 AM. Their buses can be found near the MRT or LRT stations along Buendia in Pasay. From the town market, your group can either take the public jeepney (Php40.00 per head) or rent a van (Php650.00 per way) bound for Laiya or Hugom.